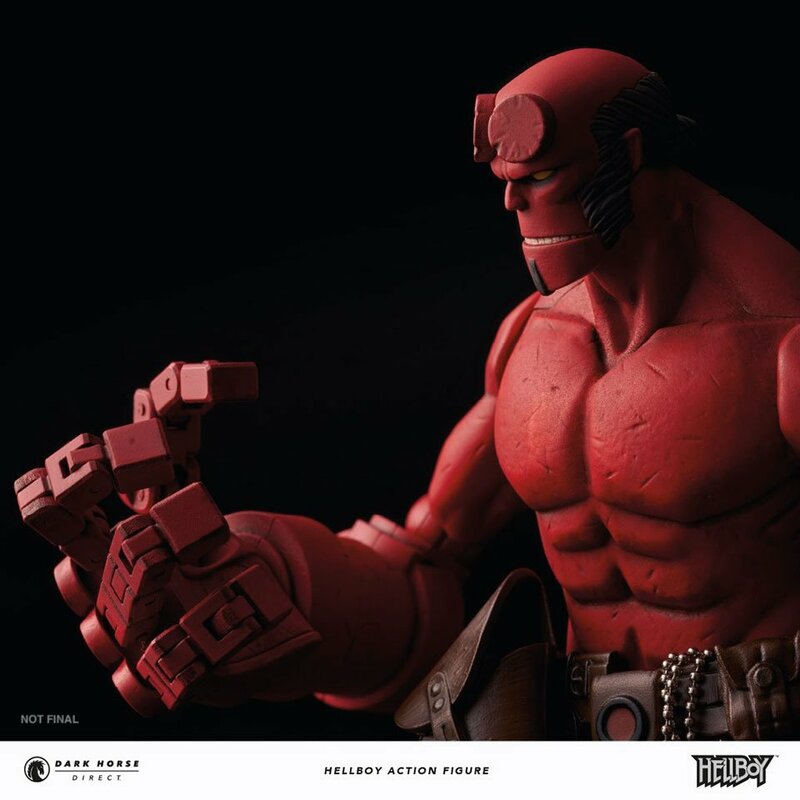 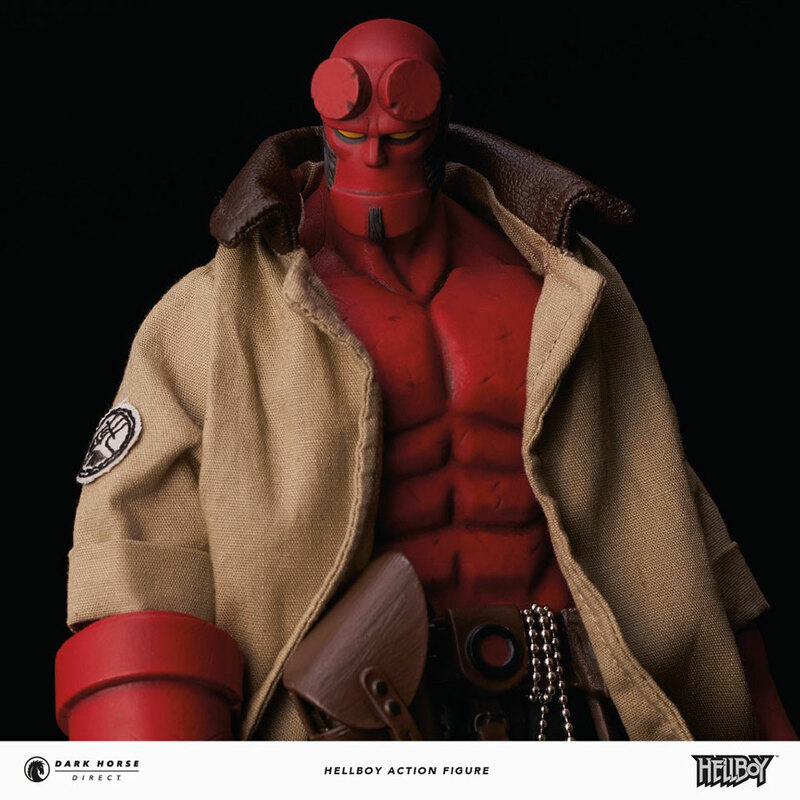 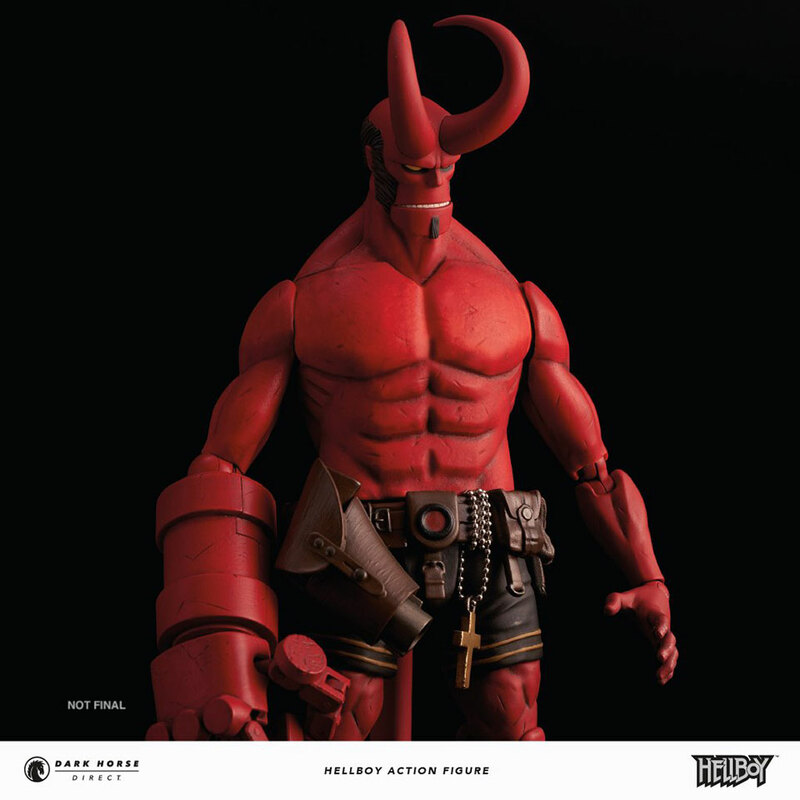 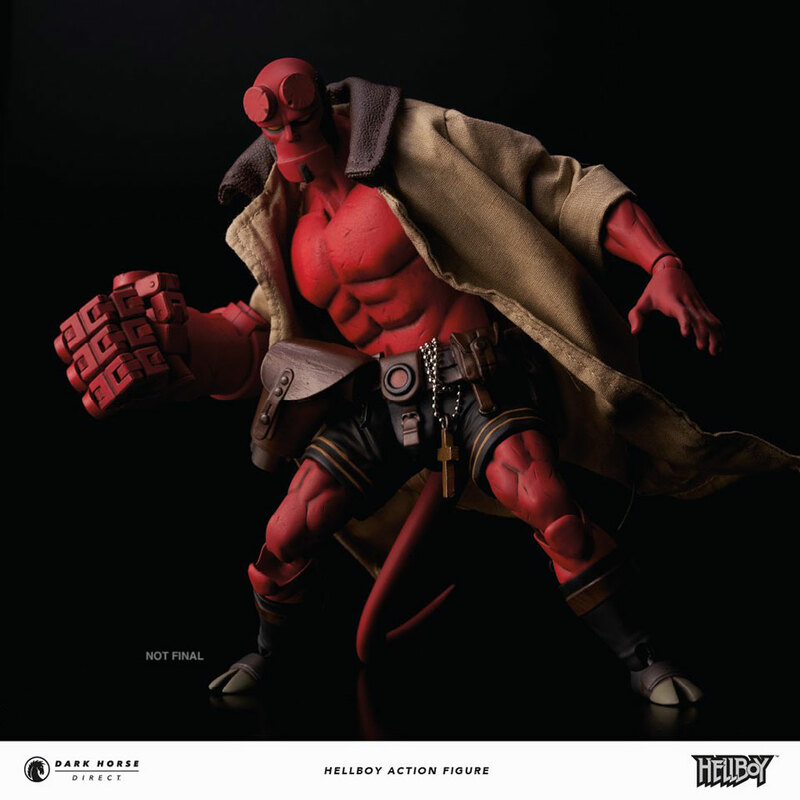 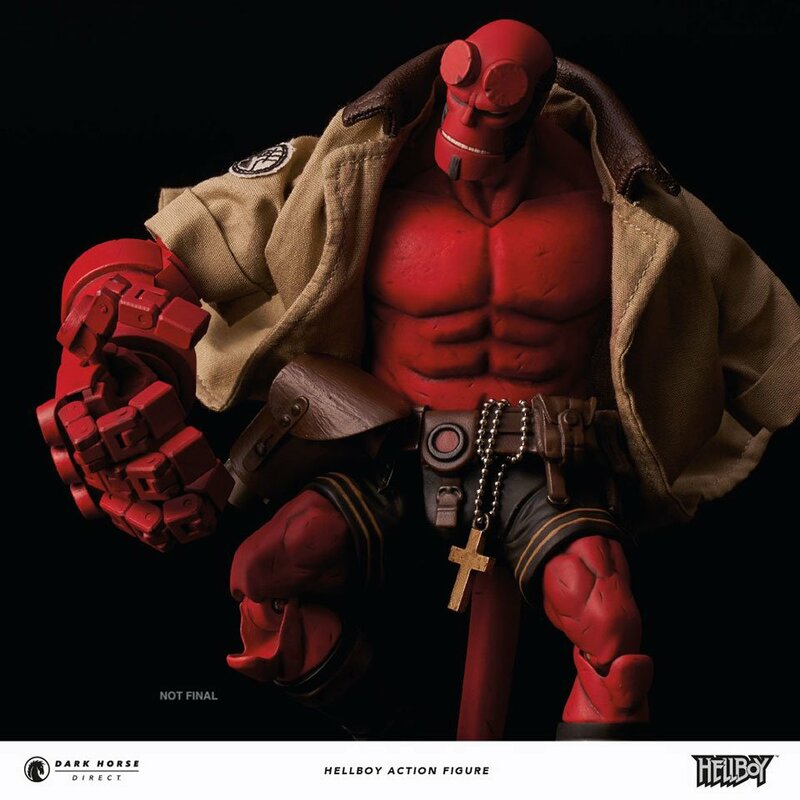 1000Toys‘ 1/12th scale Hellboy action figure is straight out of Mike Mignola’s comic books. 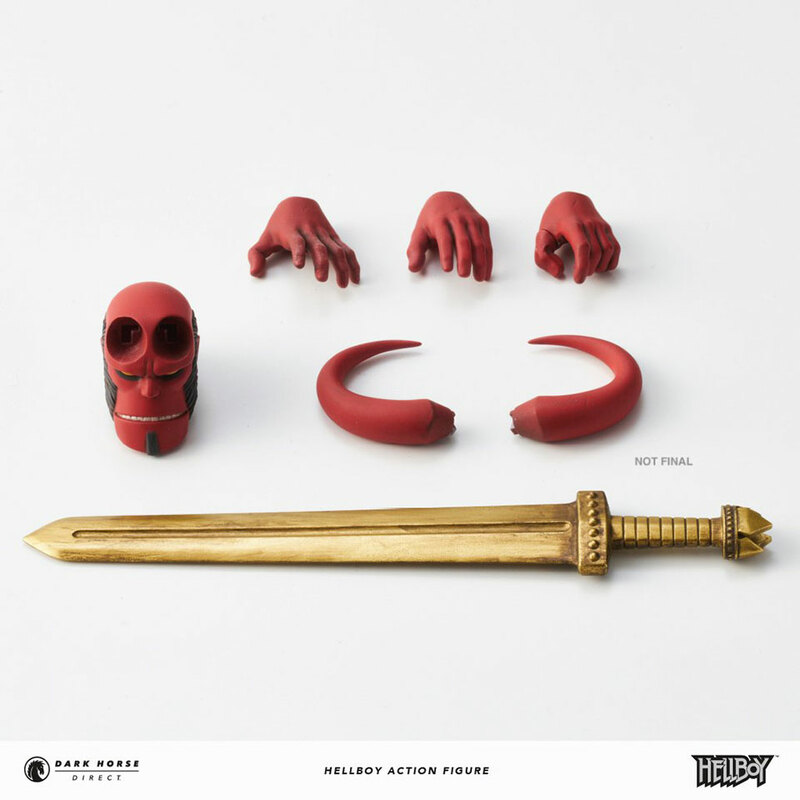 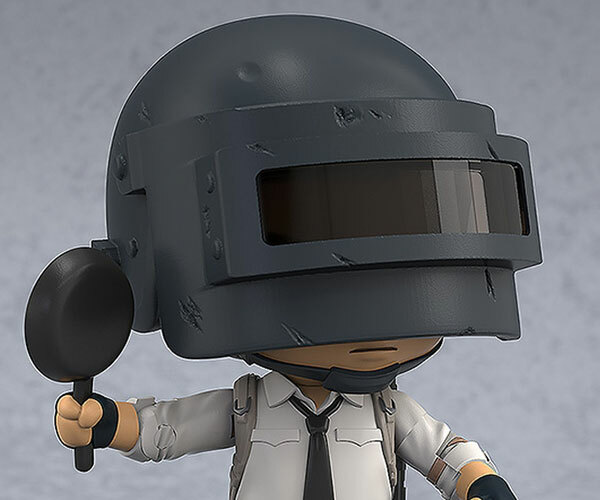 It comes with a swappable Beast of the Apocalypse head, the Excalibur sword, a gun, five hands and a removable cloth jacket. 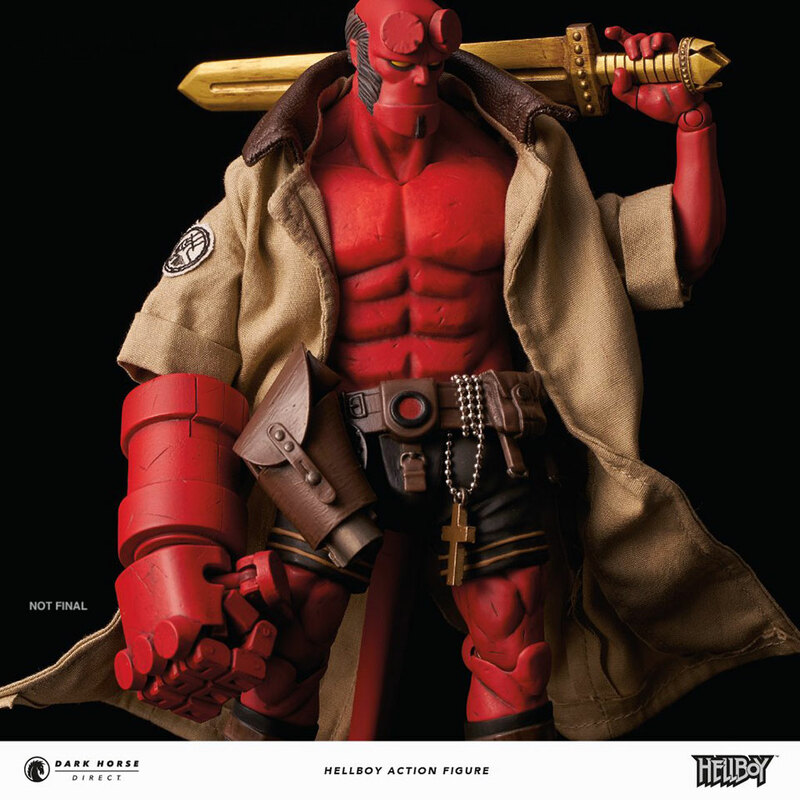 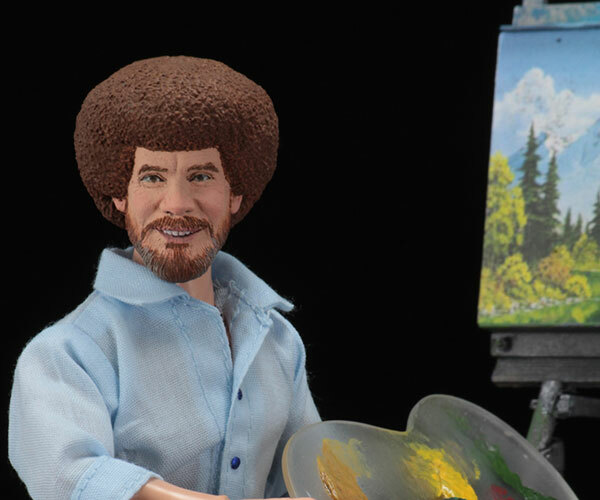 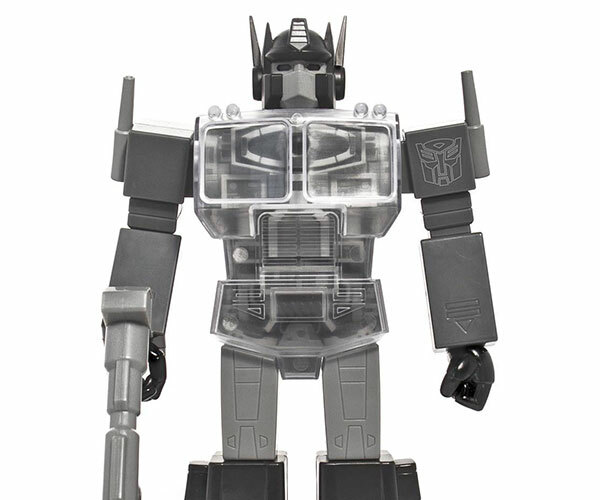 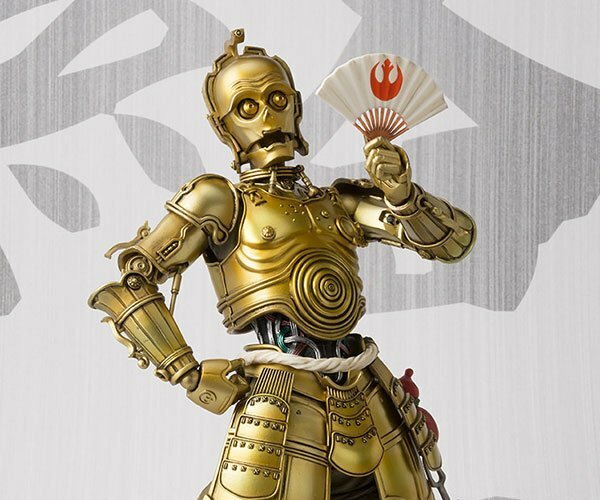 It will be exclusive to Dark Horse Direct.